Center screw handrail bracket, Single center screw wall mount with 2 screw mount under rail. Adjust rake of rail around center. SKU: 3003. Category: Stair Parts. 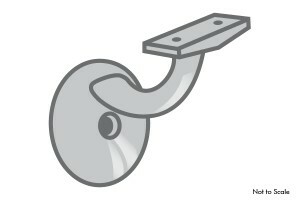 Tag: HANDRAIL BRACKET.